I’ve made a lot of birthday cards in the last couple months. A lot. I’m trying to branch out from using so many cakes, candles, or balloons. As I was looking through my supplies, I knew just what to use! 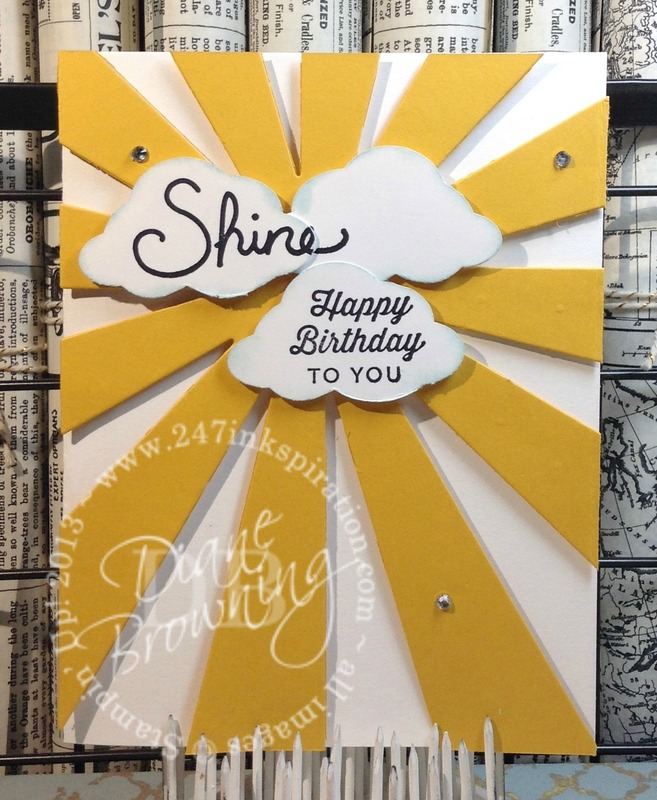 I bought the Sunburst die months ago because I know it would look great on a card. Sad reality here, I never got around to using it until today. Can you believe that? Please tell me I’m not the only one that buys craft supplies and hoards delays using them. Oh my goodness! I love that sun-shiny burst of color! Talk about amazing! I also broke open my package of Thick Whisper White card stock (yep another item collecting dust). I could kick myself. Why haven’t I been using this Thick White card stock all along? It’s amazing. I would say it feels slightly thicker than our standard card stock. I could be wrong on that but it feels sturdier to me. A couple things to note when using the Sunburst die. It is bigger than a standard card front, so you can move that sun around a little. It only fits in the Big Shot going one direction. In other words, it’s too tall to fit in both directions. 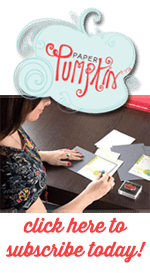 Since the die is so large, you’ll want to cut your card stock before you cut it. I made the mistake of not doing that and then had to fold it over on top of the cutting plate and then ended up starting over because it creased the paper (duh, I just folded it over). It was a mess. (I make these mistakes so you don’t have to.) Long story short, cut your paper before you die cut it. You’ll be much happier with the results. The burst is popped up on Dimensionals. I used a bunch of them so each ray would be adhered all the way around. The clouds are from the Tree Builder punch and they are also popped up on Dimensionals. Be sure you stamp your sentiments before sticking down the clouds. And I added a little Soft Sky to the end of the clouds to give them a little color. The rhinestones give it that extra little something. This awesome little birthday card is right now on it’s way to one of the people on my birthday list. Have you signed up to be on my birthday list? You get an awesome handmade card as close to your birthday date as I can get it (some are early, some are late – that’s life). You can get on my list by emailing me or tagging me on Facebook or Instagram. I can’t wait to add you to my list!